LaLa Land Comfy Wear is super comfortable, feminine and designed to find your happy place in your yoga class. 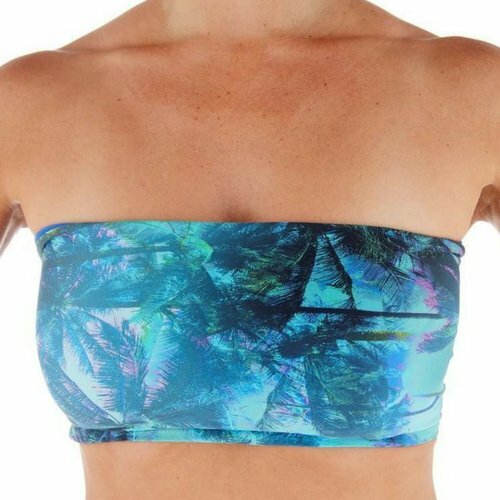 Perfect for hot & bikram yoga. The Flow Top by LaLa Land Comfy Wear has a scoop neck and double crossed straps. Made of the oh so comfortable fabric for what LaLa Land is known for. Stylish, freedom of motion and comfortable! This yoga capri in high-tech comfy lightweight Brazilian fabric feels like a second skin and is designed for intense styles like hot (bikram) yoga. Comes in great prints. Form-fitted and falls just below the knees. 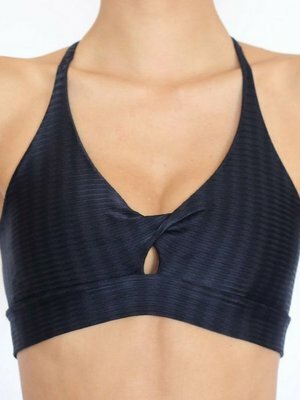 The LaLa Top by Lala Land yoga wear is a feminine comfy yoga bra top with thin criss-cross straps. 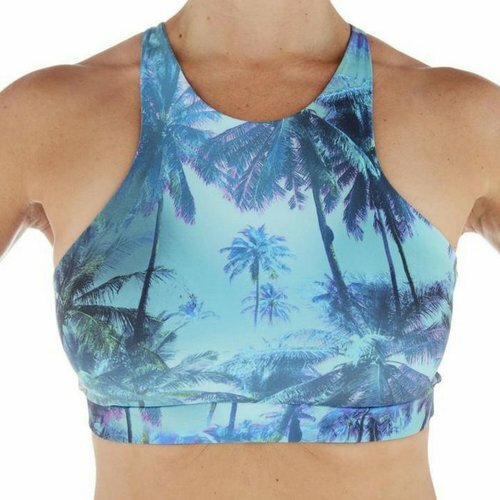 Perfect for hot yoga. Designer yoga fashion! This super comfy legging is favorite by many yoga teachers. The LaLa Land Super Light Legging is made in ultimate high-tech fabric that feels super comfy, wicks away moisture, retains shape and lasts long. Hot yoga proof! The Fold Over Legging by LaLa Land is perfect for yoga and as ‘go to’ legging. Wear the comfy soft fold over waistband mid-rise or low-rise. 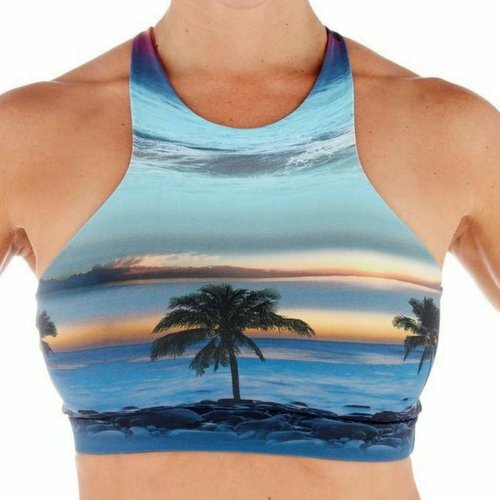 Ultimate yoga wear! LaLa Land Comfy Wear is super comfortable, ellegant & feminine and designed to find your happy place in your yoga class. Perfect for hot & bikram yoga. LaLa Land Comfy Wear is based in California and uses high quality Brazilian fabrics. Made of polyamide and spandex the viber is of higher quality than polyester. With this fabric your outfit stays beautiful during lots of yoga sessions, which is also a form of durability. Because LaLa Land's designer and owner practices hot yoga a lot herself, she does understand perfectly what makes a good hot yoga outfit. 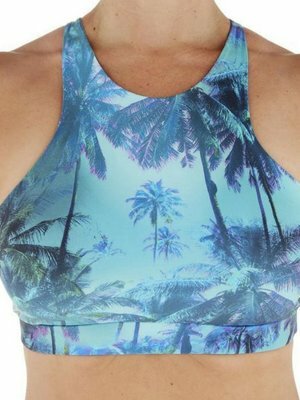 Furthermore, LaLa Land designs also the perfect yoga tops for practicing backbends. 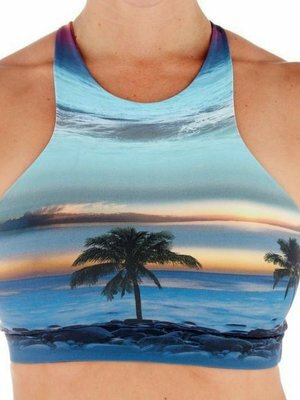 Combined with her sense of style, Paula Morgan designs elegant female yoga clothing that is perfect for hot (bikram) yoga. Our favorite is the LaLa top. What is your favorite design? Imagine the happiest moment you've ever experienced in your life. That moment when every atom in your body is glowing, connected fully at play with life. Your being is one mind, body, and spirit. There is no separation and everything works! In this place, life itself occurs as it is... a beautiful and wonderful gift. Time does not exist, everything is possible, magic is real and miracles happen! The unexpected and unpredictable are commonplace, there is total fulfillment, fun and love is everywhere! This is LaLa Land “My Happy Place." I find LaLa Land most often in my yoga practice. It is there that I experience my bliss, my daily inspiration, and where I renew each day my lust for life! It is there where I find my heart, my soul, and my moon. It is there where I push myself and stretch my soul. It is this expression of what LaLa Land is for me, that I put into our Comfy yoga clothing and activewear. Everybody has their LaLa Land, what do you call it? LaLa Land is committed to quality, service, and design. And most of all to you, your well- being, satisfaction, and LOVE OF LIFE!